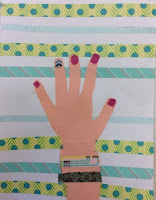 Lines from the Art Room: Spacing Out! 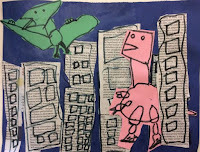 Students read the book, If the Dinosaurs Came Back, and learned about using overlapping to make objects look like they are in front of or behind one another. 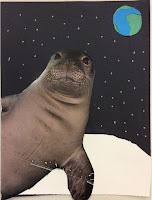 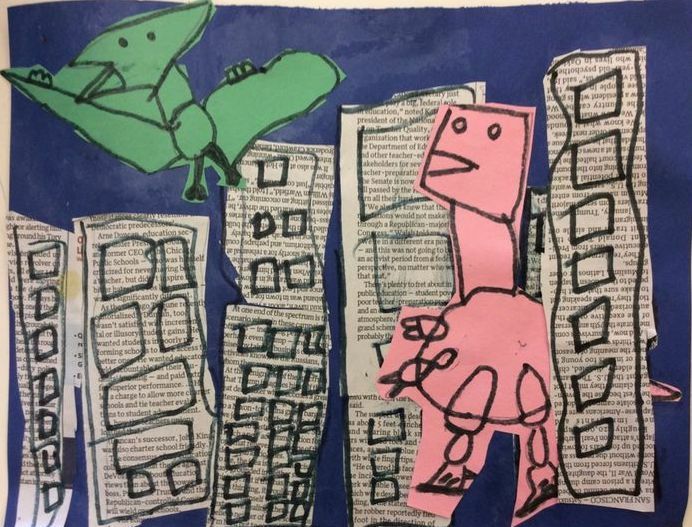 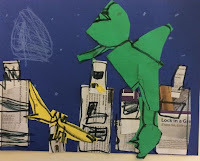 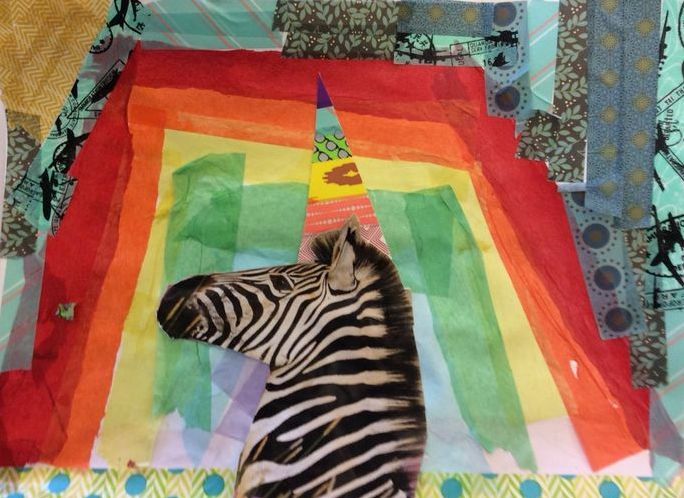 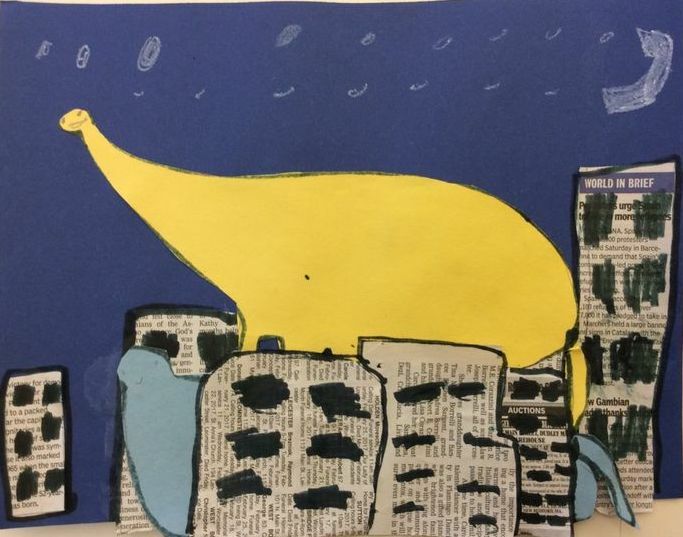 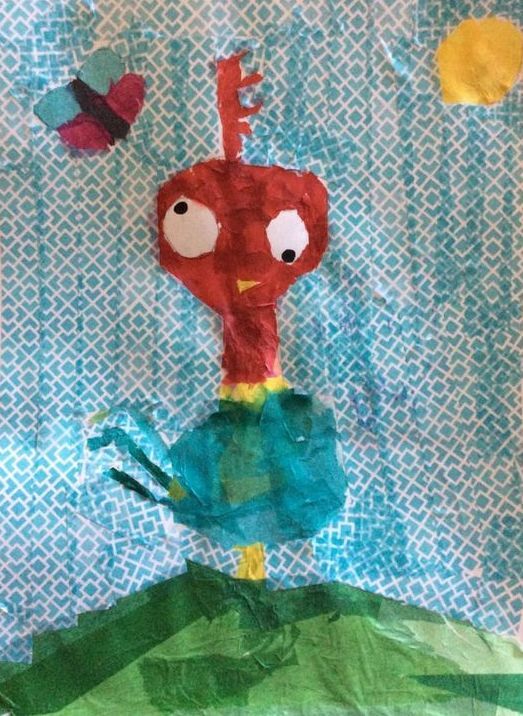 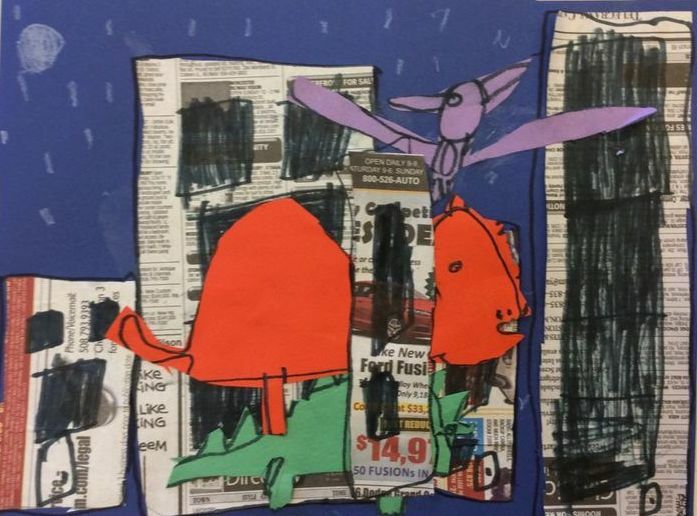 They created collages based on the book's illustrations using construction paper and newspaper. 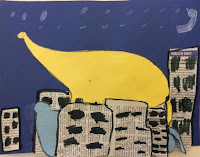 Students learned about the concept of showing near and far in a compositional space by making objects smaller or larger. 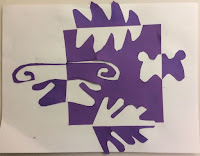 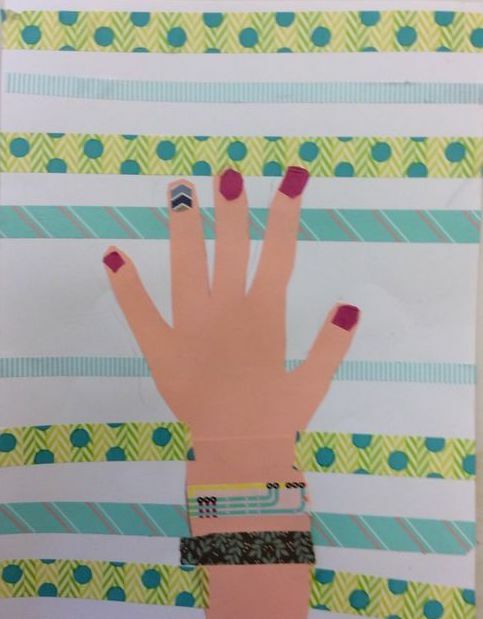 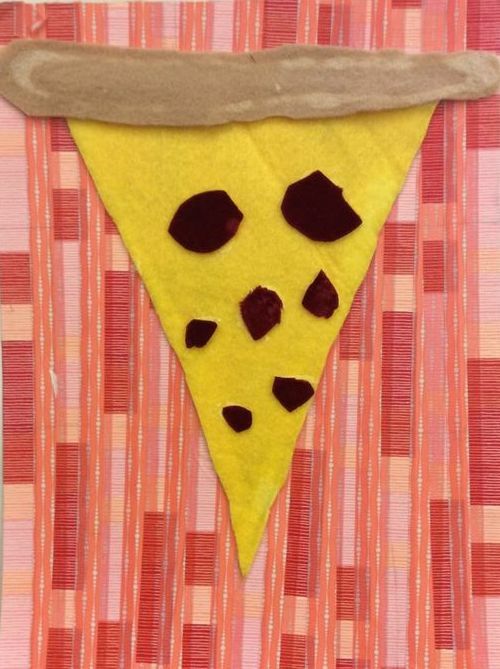 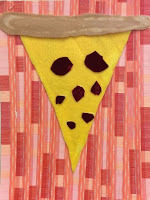 They created construction paper collages of their choice, which demonstrate the concept. 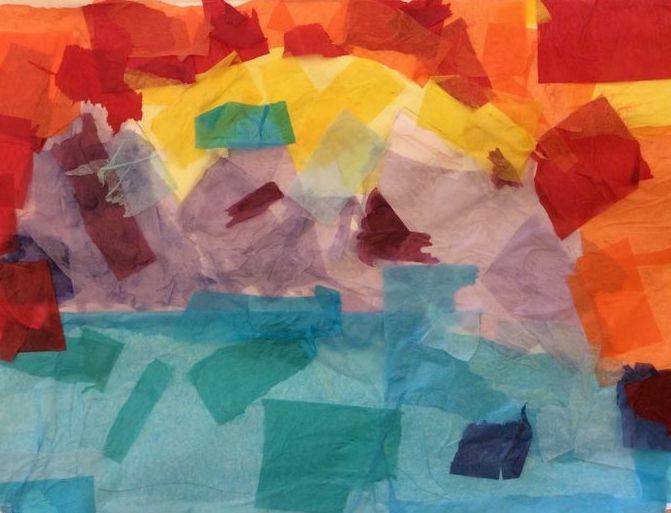 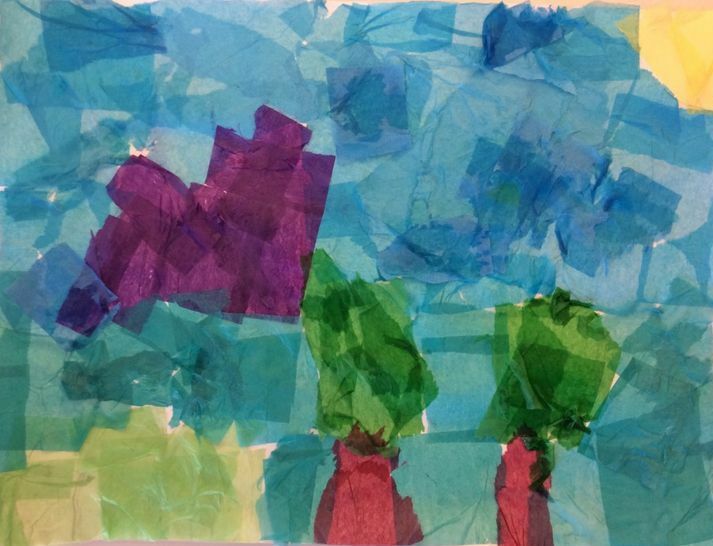 Students learned about foreground, middleground, and background and created tissue paper landscapes. 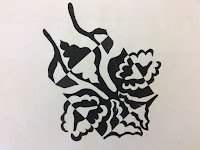 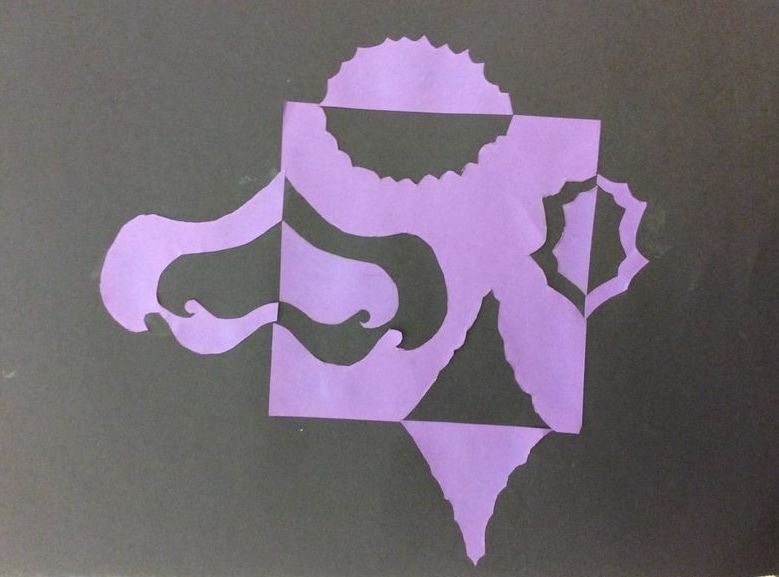 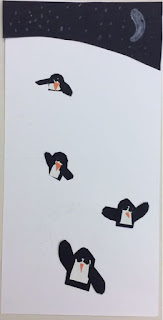 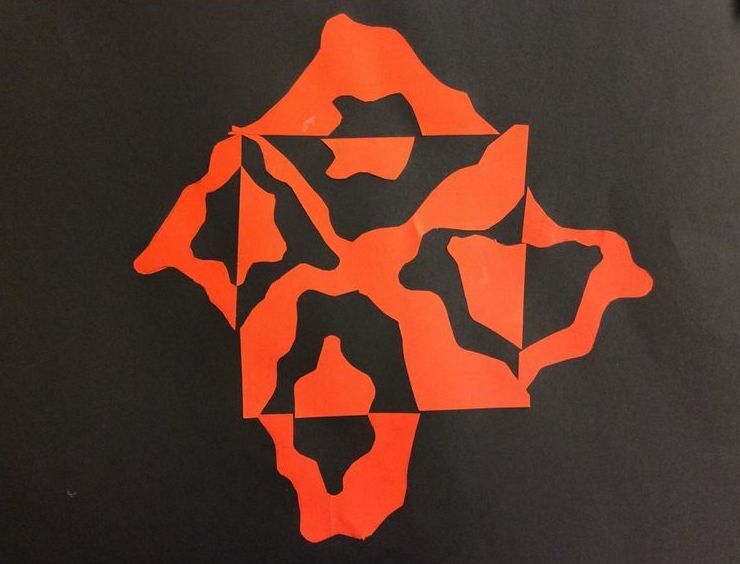 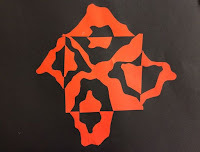 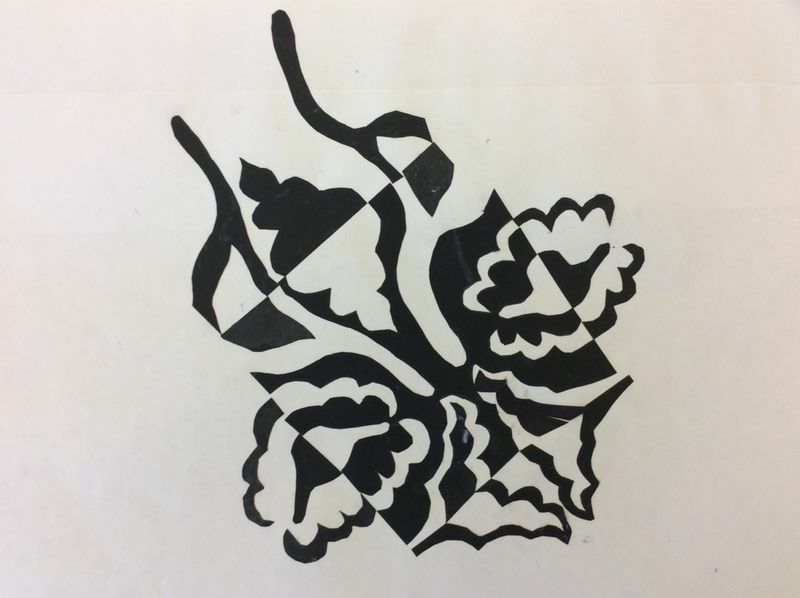 Students learned about positive and negative space and created Japanese Notans. Students learned about the rule of thirds and the golden spiral, then used the concepts to create a collage of their choice.